Barking Road Tabernacle is on the western side of Barking Road, at the north-west corner with Tabernacle Road in Plaistow. 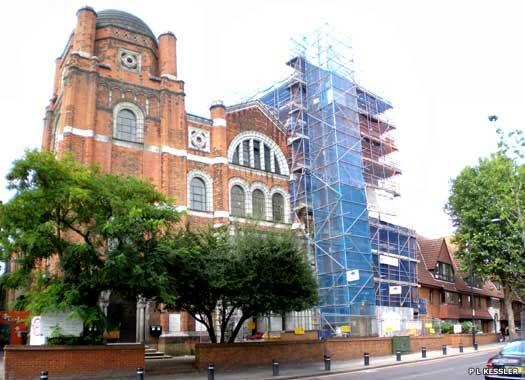 The building was built by the West Ham Central Mission (see below). 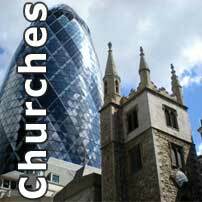 For some years Baptists had been trying to establish themselves in southern West Ham. 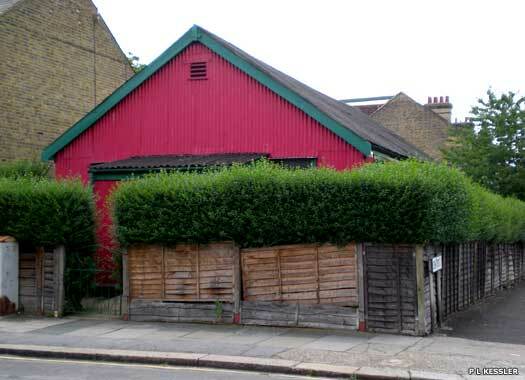 The last meeting at Mount Zion Chapel on Barking Road, closed in 1867, so they moved first to a barn and then to the mission. By 2009, the Tabernacle was being occupied by The Glory House. Cumberland Road Gospel Hall may be the same building that was opened in 1915 as Horeb Welsh (Wesleyan) Church. This was in the London (Welsh) circuit, but it was sold in 1939 due to low numbers. 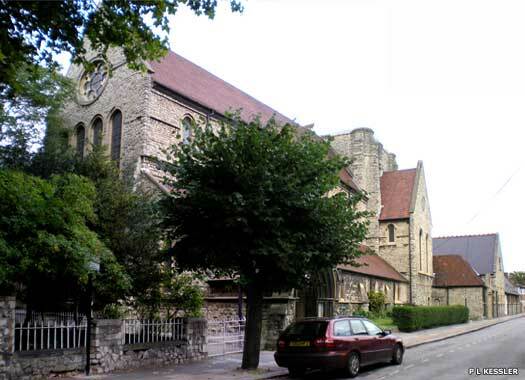 Some members joined the Welsh Methodist society which in 1945 took over Sibley Grove Church in East Ham. 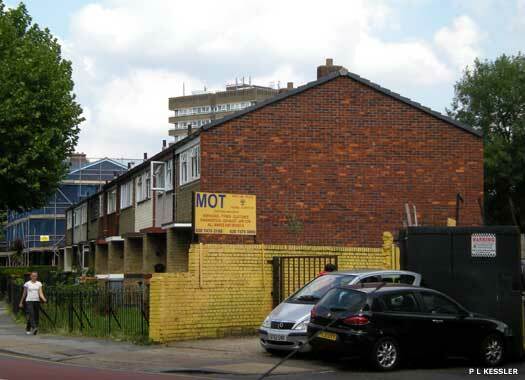 Shown here is the Gospel Printing Mission, at the south-west corner of Cumberland Road and Esk Road. It started in 1960, possibly on the same site. 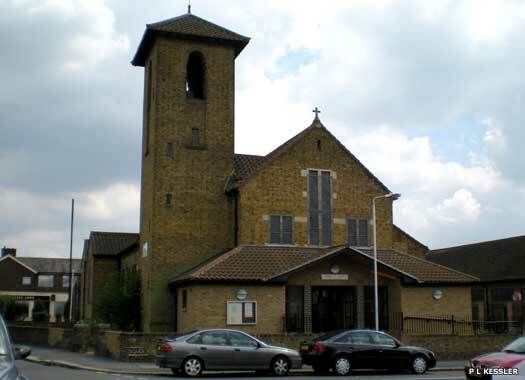 St Andrew Plaistow occupies much of the northern side of St Andrew's Road, close to Barking Road. It originated in 1860 in a small mission (which later became St Philip's - see below) built in Whitwell Road. St Andrew's itself opened in 1870 on a site that was a few yards south of the northern outfall sewer embankment. The large stone building, designed by James Brooks, is in an Early English style with apsidal chancel and large but uncompleted crossing tower. The Memorial Baptist Church Plaistow looms over Barking Road, on its western side. 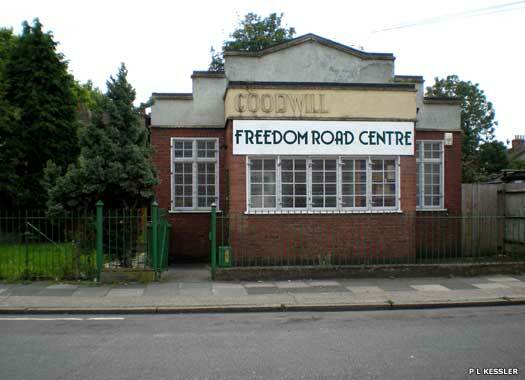 It was founded in 1871 as the West Ham Central Mission. For some years before this Baptists had been trying to establish themselves in southern West Ham, but the first group in Plaistow, formed by J E Cracknell in 1858, failed in 1859. The Memorial Church sprang from a re-founding of Mount Zion Chapel (see above). The present buildings were planned by 1907 and completed in 1922. 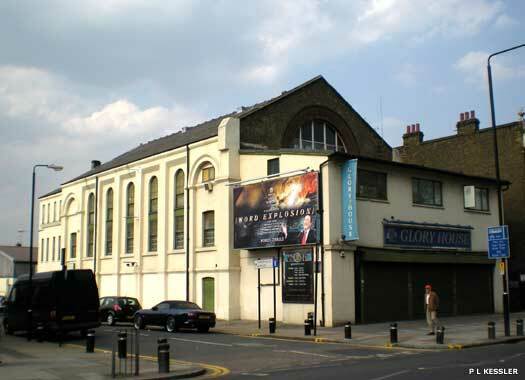 Christ Life Mission Church is on the western side of Barking Road, next door to the Memorial Baptist Church (see above). The building appears to date from the 1920s or 1930s which would mean that it was erected around the same time as the Memorial Church. Considering the proximity, this building was quite possibly part of the Baptist church at the start, and has since been sold or leased as general nonconformist membership has faded following the Second World War. 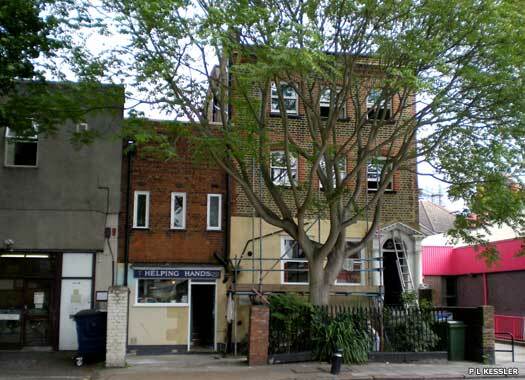 The Society of Friends (Helping Hands) office in Plaistow is formed by two attractive and individual buildings on Balaam Street, opposite the entrance to Whitwell Road. The Society of Friends, or Quakers as they are more popularly known, began in England in the seventeenth century. Their nickname came about because they were known "to tremble in the way of the Lord." Due to persecution at home, they were amongst the first wave of settlers in the New World. Plaistow (Congregational) Church stood here on Balaam Street, a little north of the Quakers (see above). It started with a 1796 Baptist mission held in private houses nearby. In 1807 a group of Independents and Baptists opened North Street Hall, and they unified in 1812. Balaam Street church was opened in 1860, replacing North Street, but in 1869 the Baptists (probably) left for the short-lived Upper Road Church. Balaam St was bombed in the war and then demolished. St Philip & St James Church lies alongside St Cedd's Function Hall (to the right), on Foster Road, at the north-eastern corner with Whitwell Road. It began as St Philip's Mission, prior to the building of St Andrew Plaistow (see above), and remained in use afterwards. In 1894 it was taken over by the Society of the Divine Compassion, but was destroyed by bombing in 1941. Services continued nearby until the present building was opened in 1953 by Anglican Franciscans. Sacred Heart of Jesus Catholic Chapel lies on the southern side of Bethell Avenue, which is on the eastern side of the junction with Chargeable Avenue. The Franciscan missionaries of Mary built a convent in Bethell Avenue in 1902 and added the Sacred Heart chapel to it in 1931. 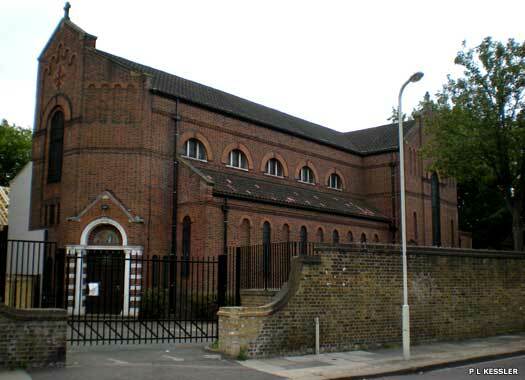 Along with St Margaret's & All Saints Catholic Church in Canning Town, the convent and chapel were damaged by bombing during the Second World War, and were subsequently rebuilt. Goodwill Mission occupies a plot on the southern side of Ladysmith Road, close to Hermit Road, just a little way north-west of the nearby catholic church (see above). The London City Mission had seven centres in the borough in 1914, including Swanscombe Street German Mission (now Mary Street). 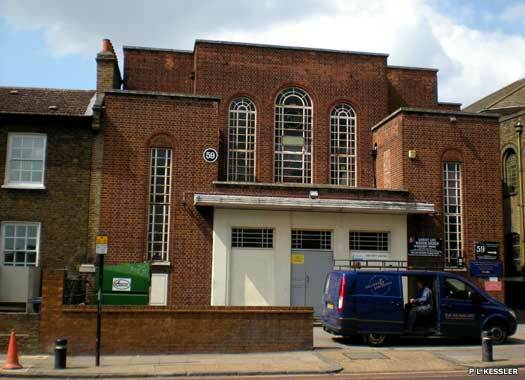 The building on Ladysmith Road was registered for worship in 1937 by an independent nonconformist group, but by 1960 it was in the hands of the London City Mission.